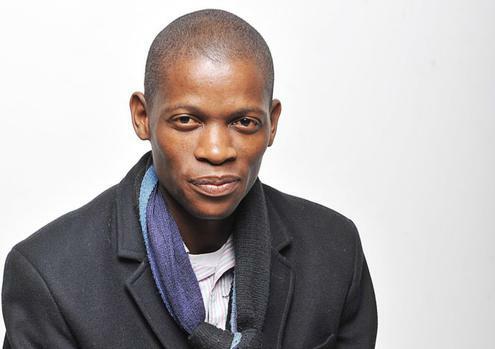 FJT president Piet Rampedi said setting aside a 50 percent share in the government s advertising budget would enhance the viability of black-owned enterprises in line with the revised Broad-Based Black Economic Empowerment (BB-BEE) Codes of Good Practice. Rampedi said the government could not continue to pump money into companies that did not want to transform. “These companies see no obligation to transform. Spreading the cake will achieve long-term transformation in the industry. We are not asking for hand-outs,” said Rampedi. FJT represents journalists and entrepreneurs owning small media companies. Earlier this year the FJT met the Government Communication and Information System (GCIS) to lobby for the set-aside share of the advertising budget. Media reports have previously put government’s advertising in mainstream media at approximately R1-billion. Attempts to verify the figure with GCIS this week were not successful. Rampedi said setting aside a share of government’s advertising budget was in line with the enterprise and supplier development element of BEE. “It’s about encouraging long-term operational involvement in the economy. The aim is to buy and operate or start and operate” instead of acquiring minority shareholding in an existing entity, said Rampedi. He said the growth of viable black-owned small, medium and micro-sized enterprises (SMMEs) would increase competition in the local media industry. “The main challenge facing black-owned media companies is access to market,” he said, implying that big media companies were muscling out their smaller counterparts. Many people can start small media companies. But what are the chances of surviving if you do not have advertisers? If they get government advertising, they can raise loans. Advertising is the lifeblood of the publishing industry,” he said. Using advertising to advance transformation has become a sensitive issue in South Africa, with accusations the government would use its advertising power to coerce media outlets to disseminate news and views favourable to the state and ruling party. Despite these concerns, however, the lack of racial and other forms of transformation in South Africa’s media landscape is alarming. Out of roughly six print media organisations that publish the country’s main commercial newspapers, only Independent Media is majority black-owned in accordance with the country’s black economic empowerment policies. Independent are publishers of The Sunday Independent. The company was acquired by the Sekunjalo Group in 2013 with substantial investment from the Public Investment Corporation, the asset manager of the Government Employees Pension Fund, which has a mandate to invest in greater black ownership of the economy. But the deal has come under heavy criticism from the mainly white-owned mainstream press and the PIC recently faced a barrage in Parliament from white DA MPs over the deal. Communications Minister Faith Muthambi this month said that media transformation was high in her department’s agenda this year. Consultation around media transformation is continuing, said Liphoko. I am really pleased to glance at this weblog posts which consists of lots of useful data, thanks for providing these data. Just desire to say your article is as amazing. The clearness in your post is simply spectacular and i can assume you’re an expert on this subject. Well with your permission allow me to grab your feed to keep up to date with forthcoming post. Thanks a million and please carry on the enjoyable work.